Several ENT physicians and staff will be hosting the annual head and neck screening event on Thurs, April 5, 2018 from 1-4 PM. 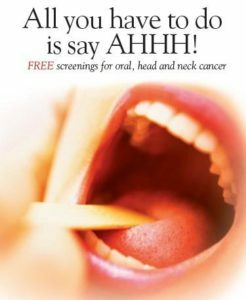 Screening for Oral, head and neck cancers open to the public. Registration required. May call to register at 402-354-5850 after March 20, 2018.